NASHVILLE – A Warren County woman is charged with TennCare Fraud in Cannon County, accused of using the state’s public healthcare insurance program to obtain prescription drugs, which she later sold. The Office of Inspector General (OIG), assisted by the Warren and Cannon County Sheriff’s officers, today announced the arrest of Jennifer D. Woodlee, 29, of Dover. Woodlee was indicted on one count of TennCare fraud for presenting a prescription for the painkiller Hydrocodone, using TennCare to pay for the prescription while intending to sell a portion of it. The TennCare fraud charges against Woodlee could result in a two year sentence, if convicted. District Attorney General William C. Whitesell, Jr. is prosecuting. 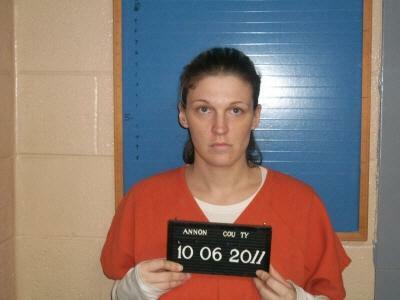 Woodlee was arraigned in Cannon County Circuit Court on Oct. 6. Her next court date is Nov. 10. The OIG, which is separate from TennCare, began full operation in February 2005 and has investigated cases leading to over $3.5 million paid in restitution and recoupment to TennCare, with a total estimated cost avoidance of over $173 million for the TennCare program, according to latest figures. To date, nearly 1,500 people have been charged with TennCare fraud.